Last weekend a big group of us went to the Renaissance Faire in Manheim, Pennsylvania. Our first ren faire experience was two years ago, when our friends Christine and Sean introduced us to all the fun to be had at the one in Tuxedo Park, New York. Between weddings and moves, none of us had a chance to go last year. But we had such a great time in 2012 that Shawn and I decided to go all out this year and we made our own costumes! One of the best parts of the ren faire is not knowing who's an actor and who is just a guest in costume - everyone loves to interact with you, whether they work for the faire or not, so we figured we'd have more fun in costumes. 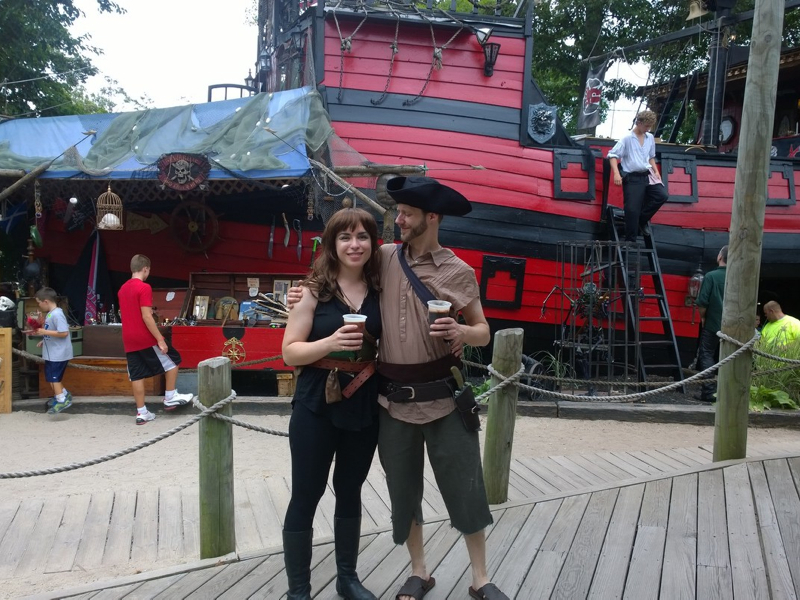 We went as pirates, kind of. 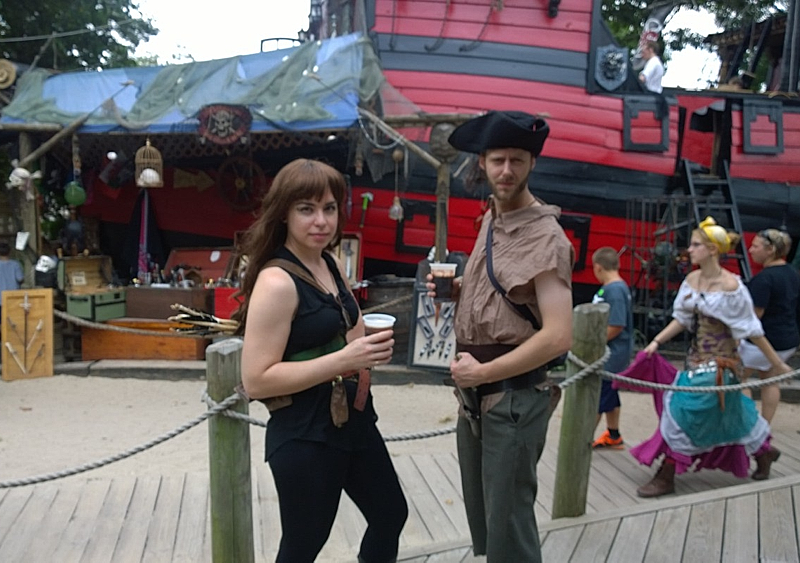 Shawn was a pirate and I was an archer, although most of the actors just lumped us both into the pirate category. Most of Shawn's costume was made from things found at a thrift store, and mine was mostly made from things I already owned. 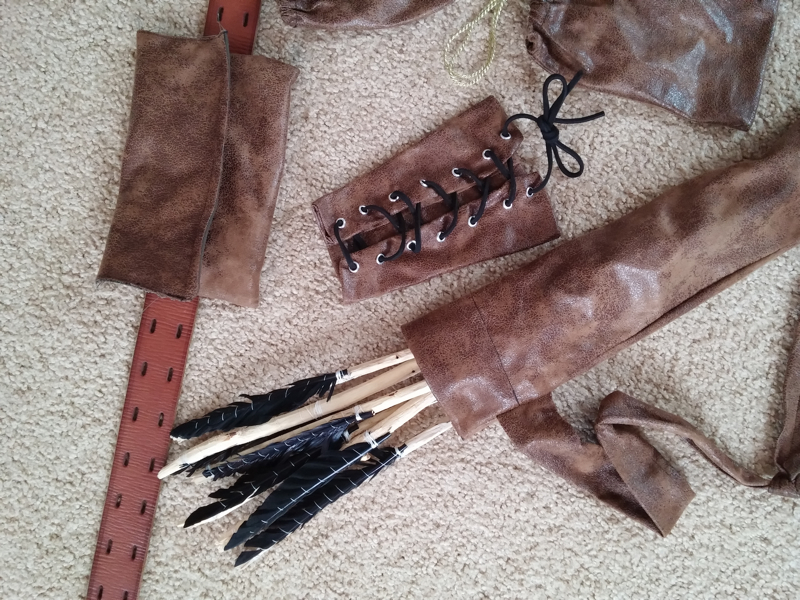 I got a chance to put my sewing skills to good use and made us a few fun accessories as well! The rest of our group didn't dress up, and there was a slight communication mishap with two members of our group who ended up at the NY Renaissance Faire instead... (oops!) but we all had a really great time regardless. I wish I had thought to take a group photo! Instead, I'll leave you with a few photos of Shawn and I, and some of the fruits of my sewing labor. 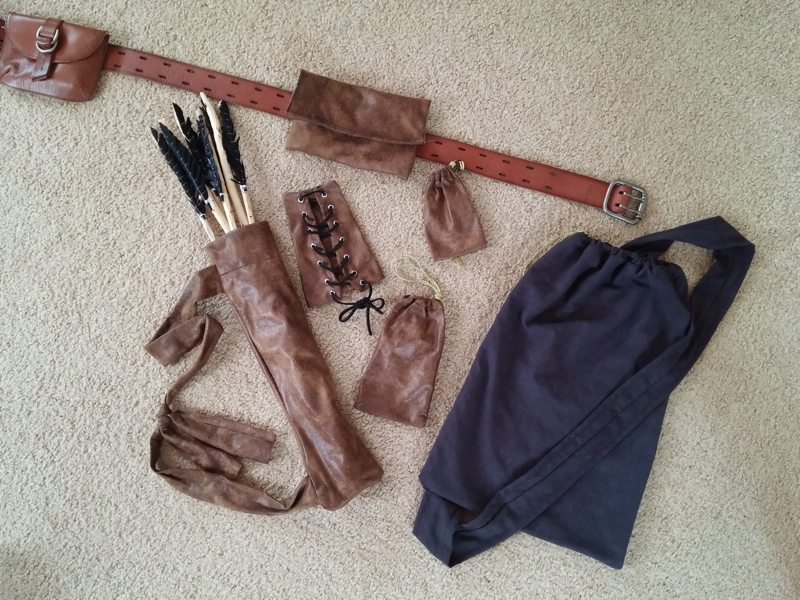 I made myself a quiver for my arrows, a pouch for my belt that would be large enough to fit my phone, a small medicine sack for aesthetics, and a wristlet, complete with grommets. 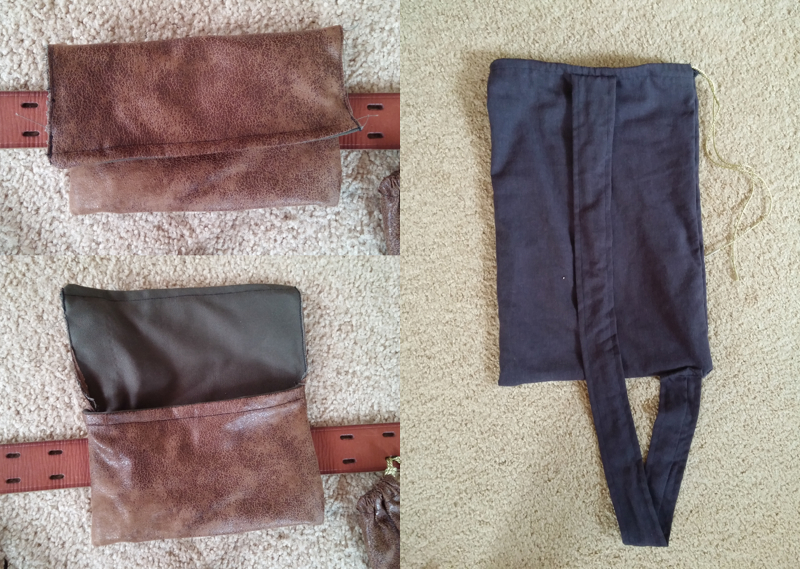 I also took in Shawn's shirt (we found a 3X size dress that we turned into his top), and made him a cross body knapsack to keep his things in, along with a smaller drawstring sack for his phone. 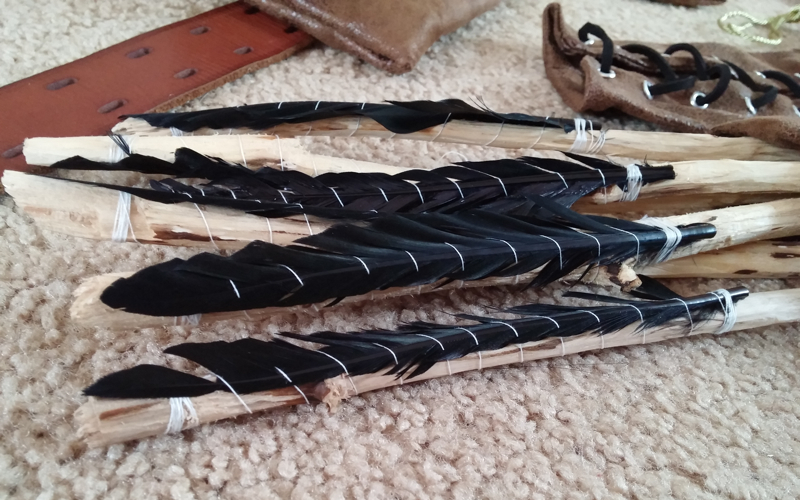 I also made my own arrows! I couldn't find a proper stick to fashion a bow out of (they were all too dry), so I went without one. Shawn and I are thinking about going back to the faire one of these weekends, just to experience it more. It's really tough to take it all in when you're trying to keep track of five other people, so we feel like there are some vendors and fun things that we missed the first time. I also didn't want to keep pulling out my camera and focused instead on having a good time, so if Shawn and I return to the faire, you can expect some more proper photos! This time around was more about enjoying the company of others, and getting a feel for the grounds. At least now if we go back, we'll know where all the good food and vendors are. 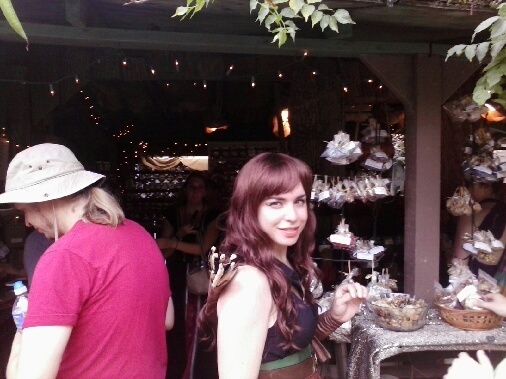 If you haven't been to a renaissance faire yet, I highly recommend going! We were both skeptical at first, but look at us now! P.S. That's a wig I'm wearing, in case you couldn't tell! Wait, no, I lied... my hair actually grows super fast! Seriously though, I love that wig. I want to wear it out and about for more 'normal' experiences. It makes me more anxious for my hair to grow! Turkey legs! Please say you had one. 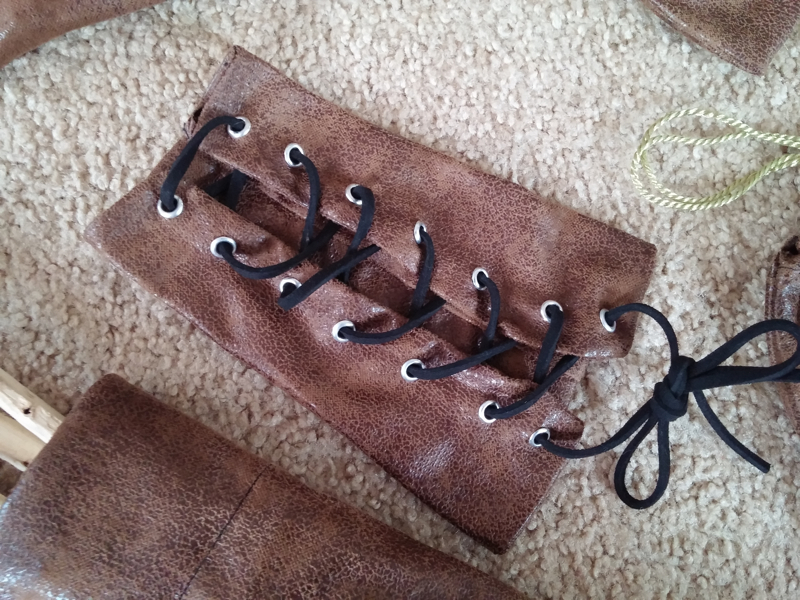 You're costume making skills should be taken on the road! Well done. Thanks!! I can't wait until mine gets to at least my shoulders... the wait feels so long! 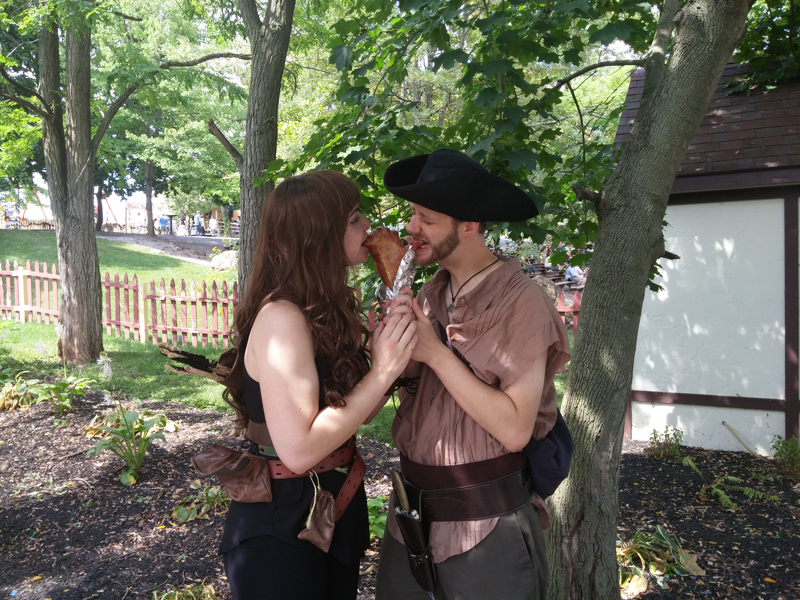 We shared a turkey leg, but it was a little salty and I think I actually preferred the ones from the NY faire! And thanks! !